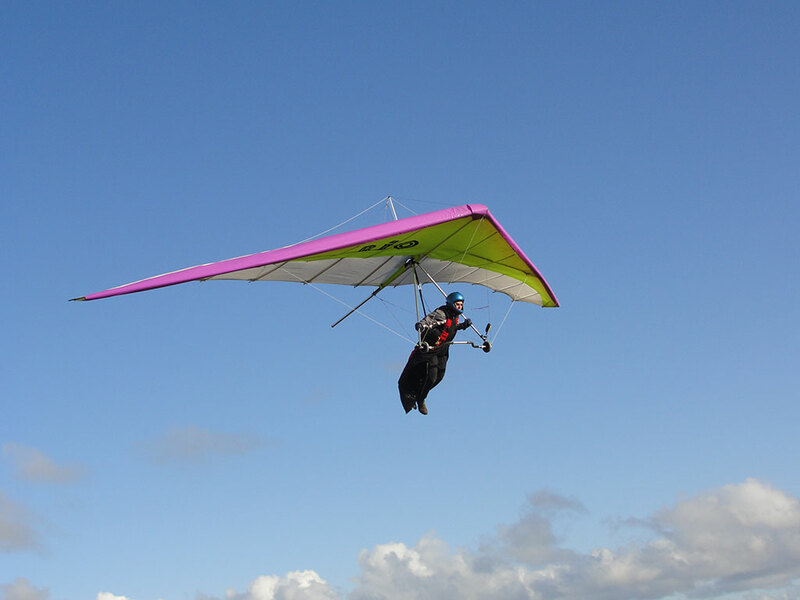 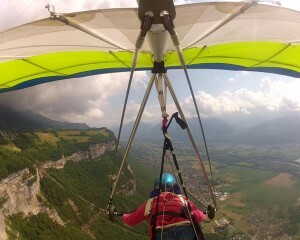 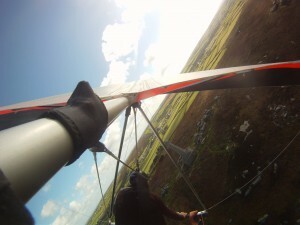 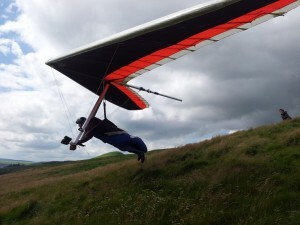 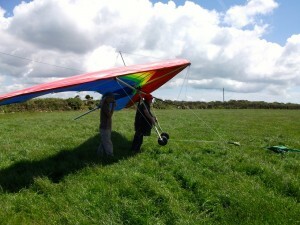 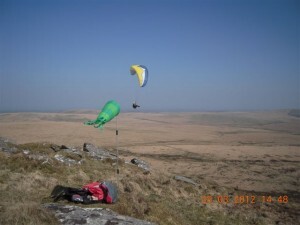 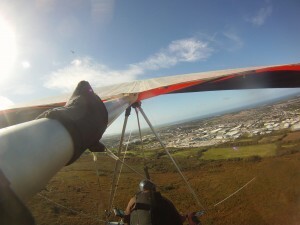 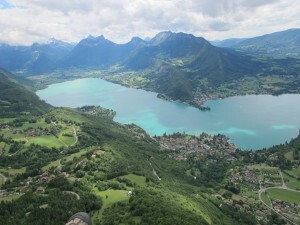 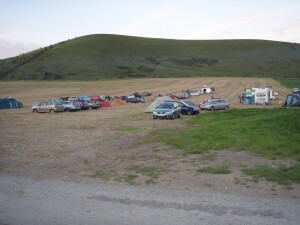 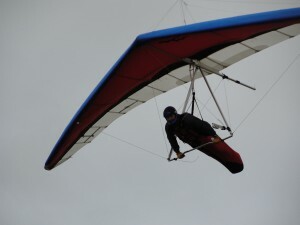 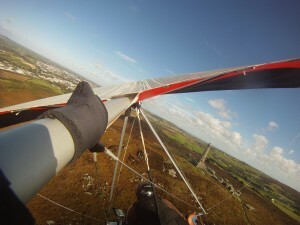 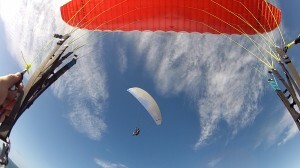 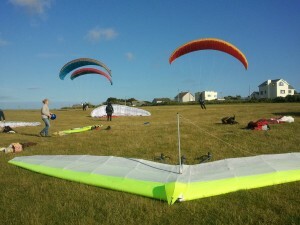 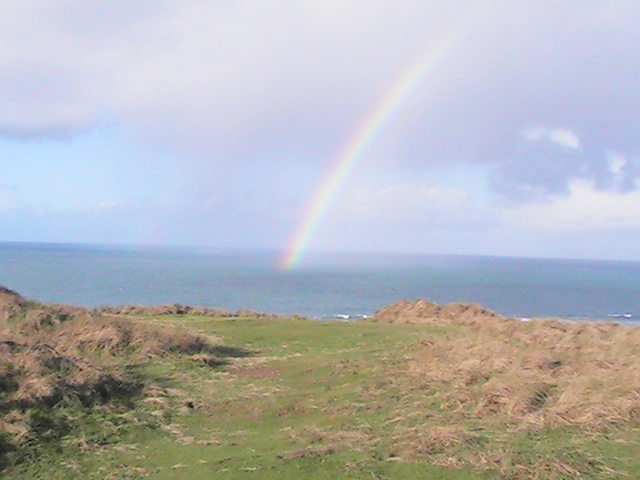 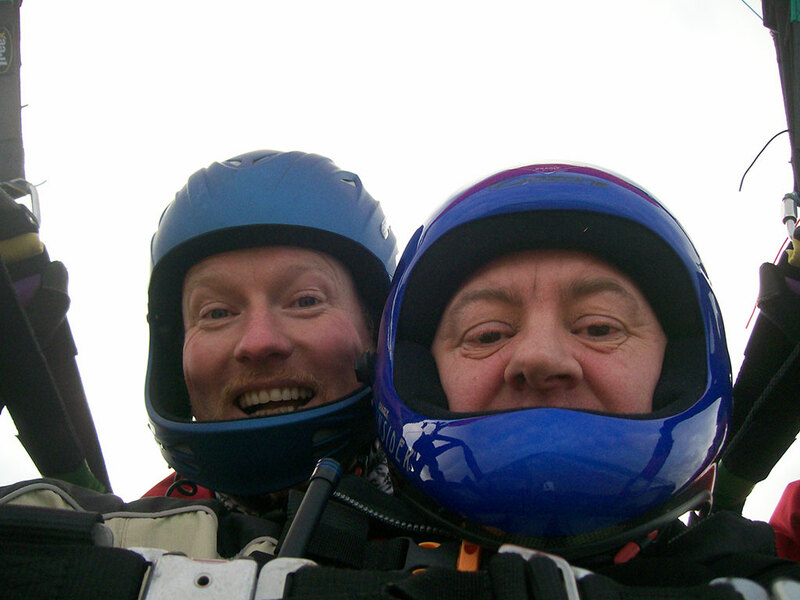 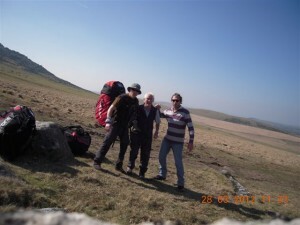 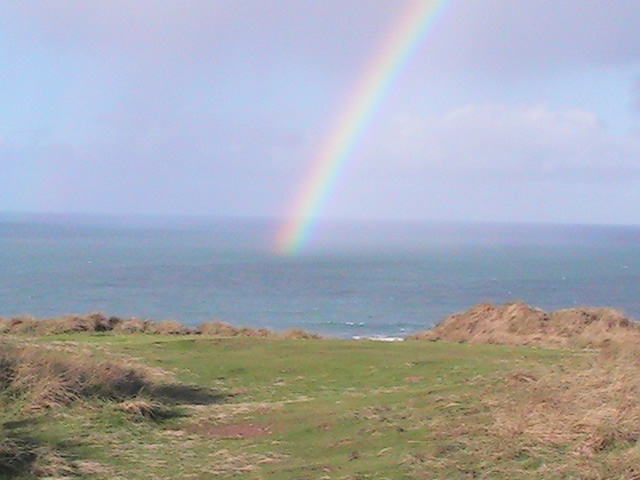 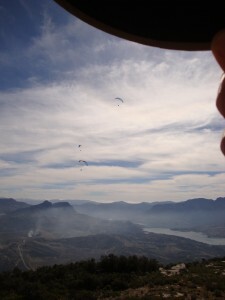 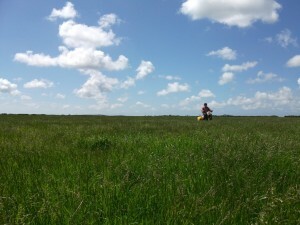 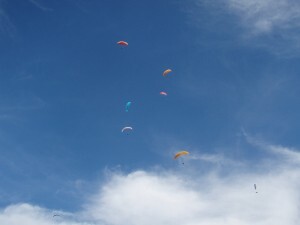 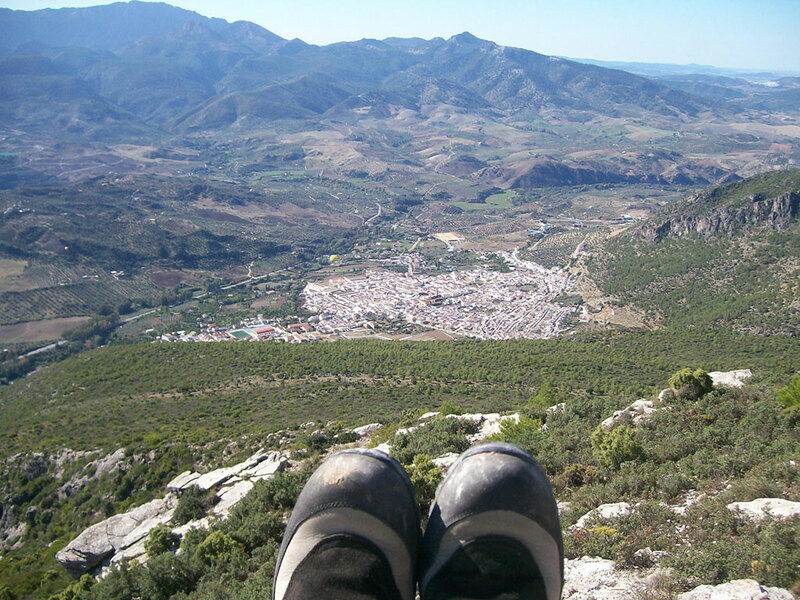 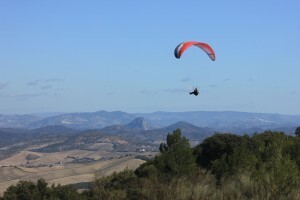 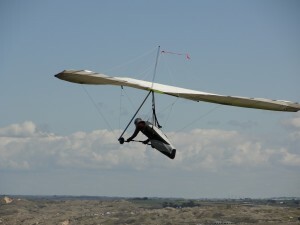 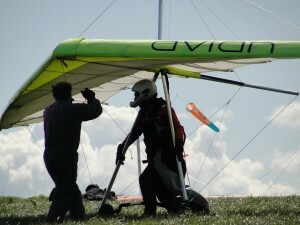 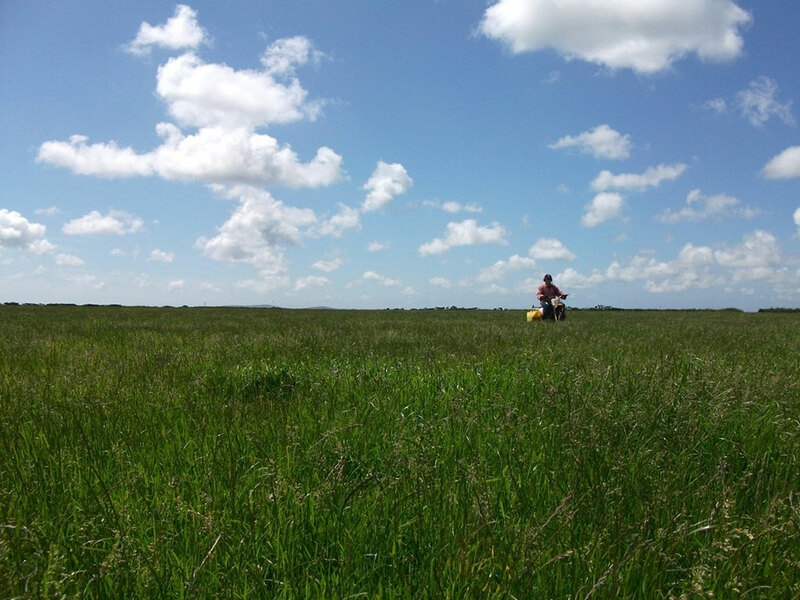 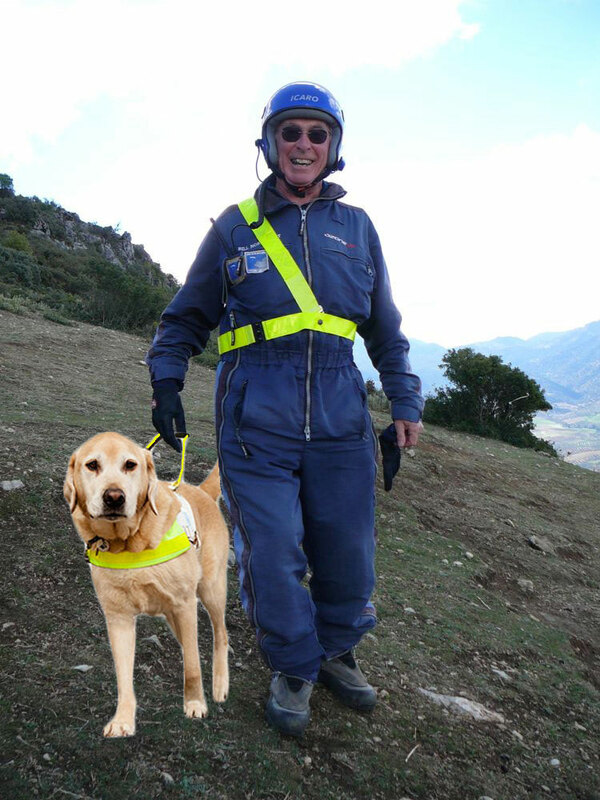 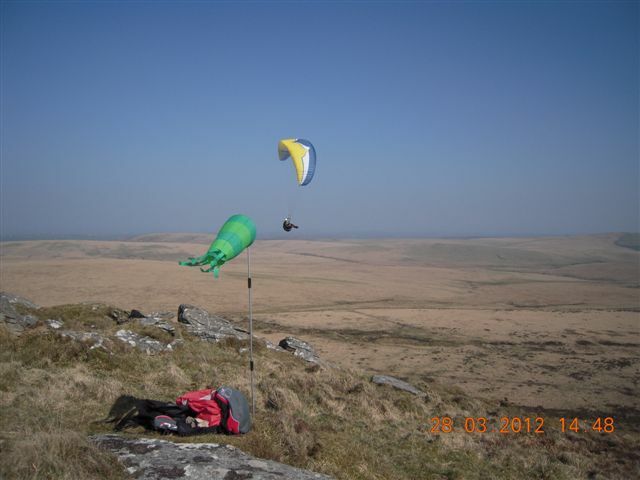 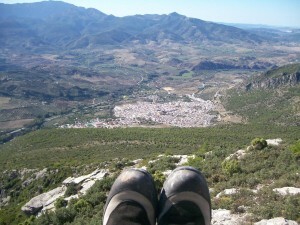 This page displays a collection of photos from club members in 2012. Club members wishing to publish their pictures on this page can send them to the Andy Rogers using the email link or Contact Form on the Contacts page. 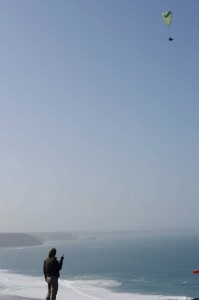 Click on the pictures to open them at full size in a new window. 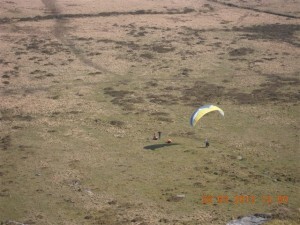 Click here to go to the main Gallery page. 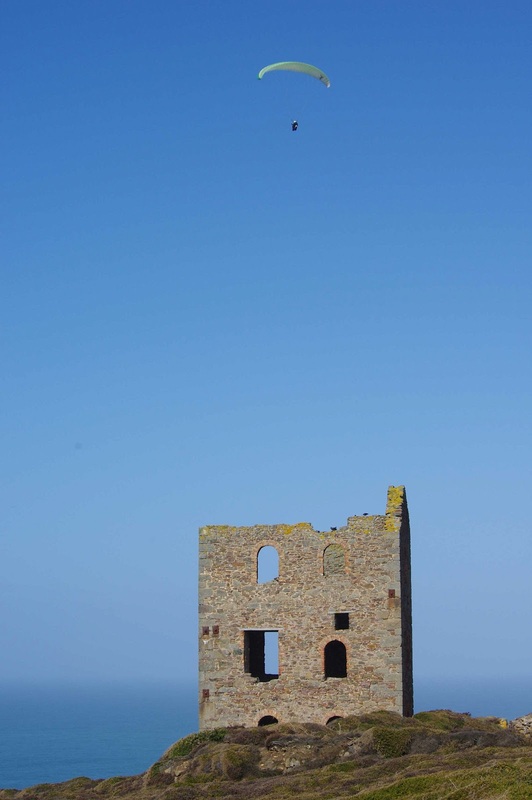 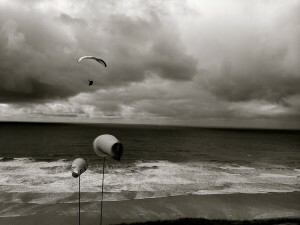 A selection of unusual and interesting photos from Steve Warner. 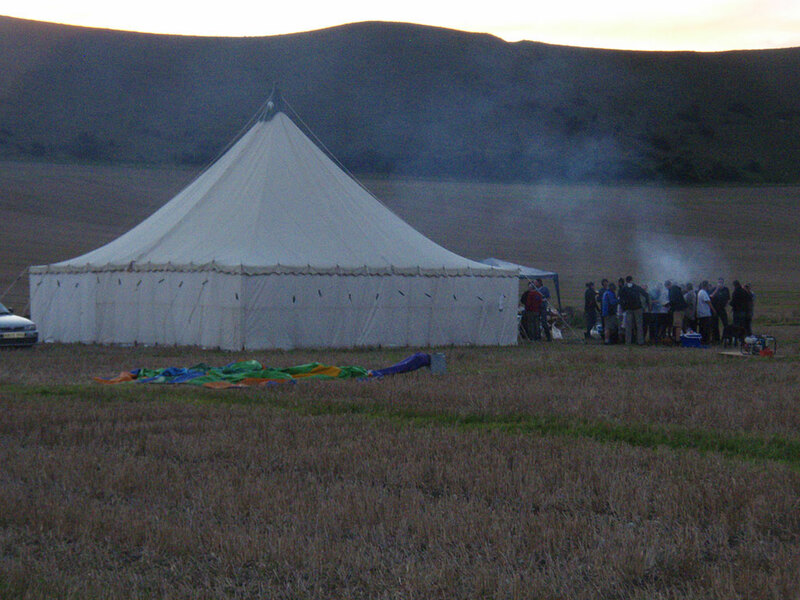 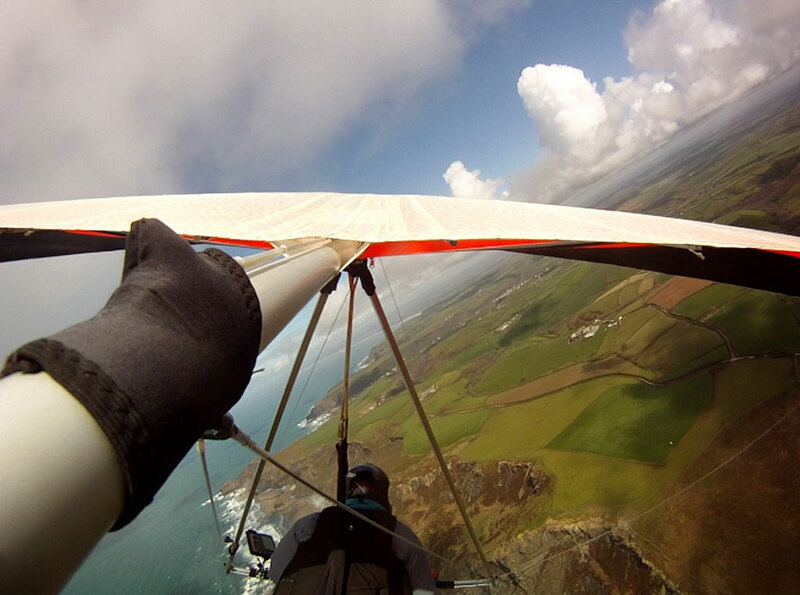 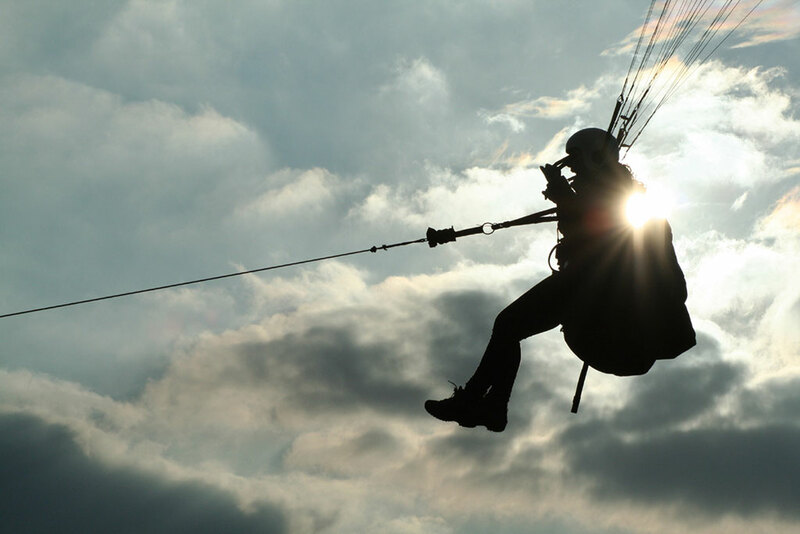 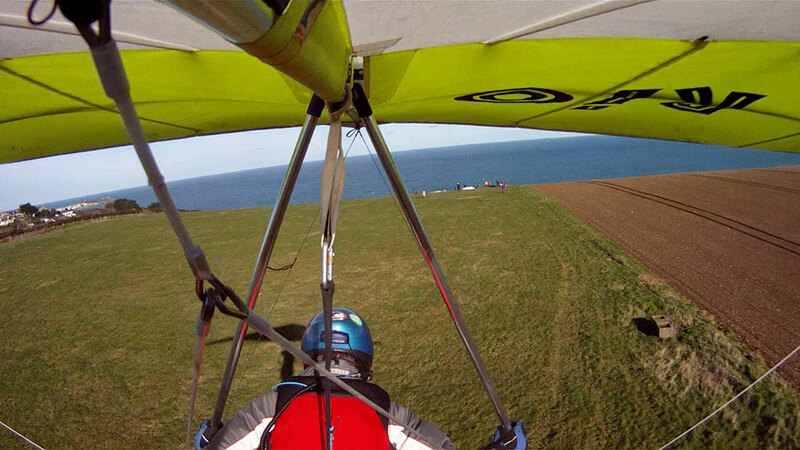 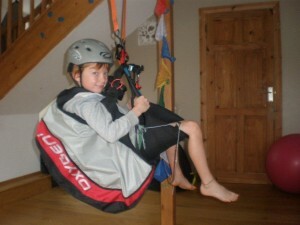 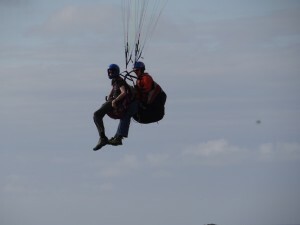 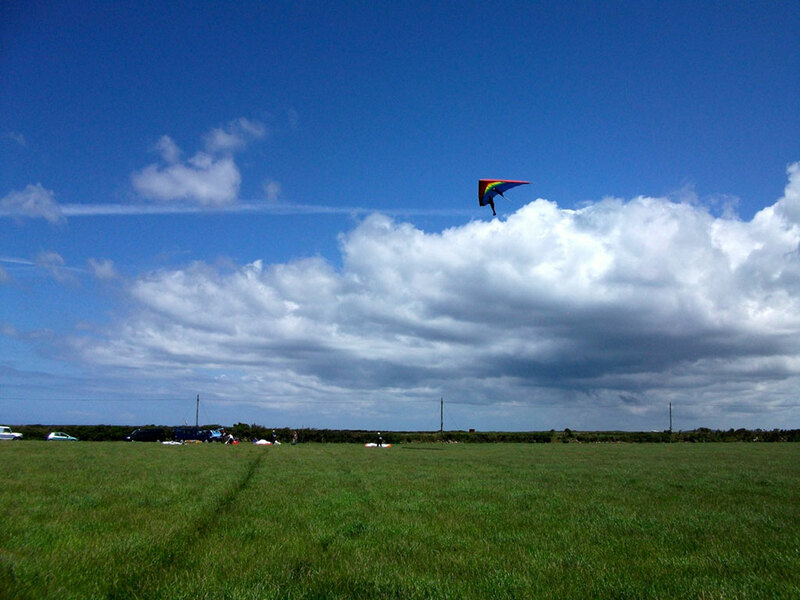 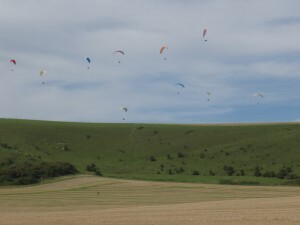 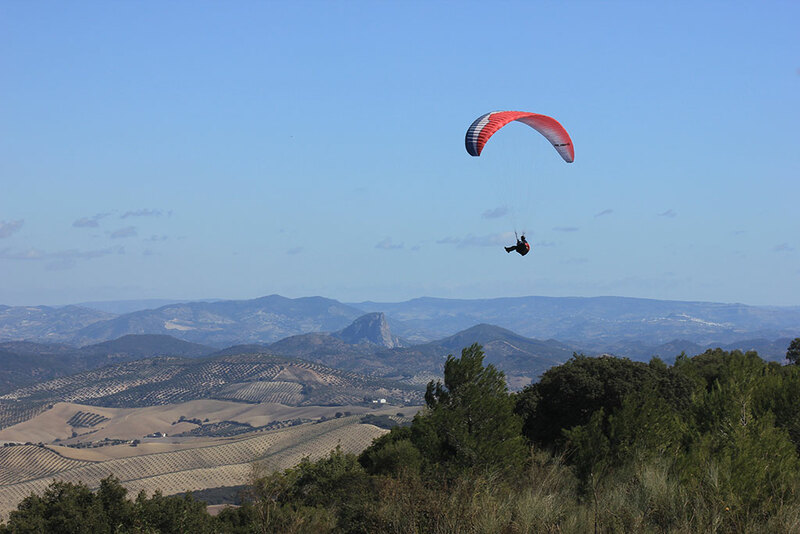 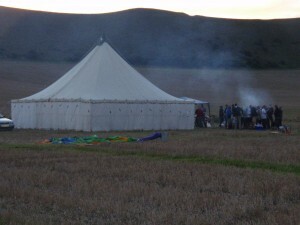 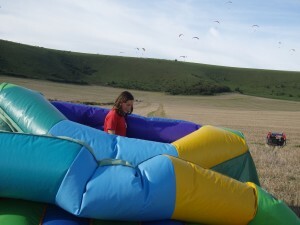 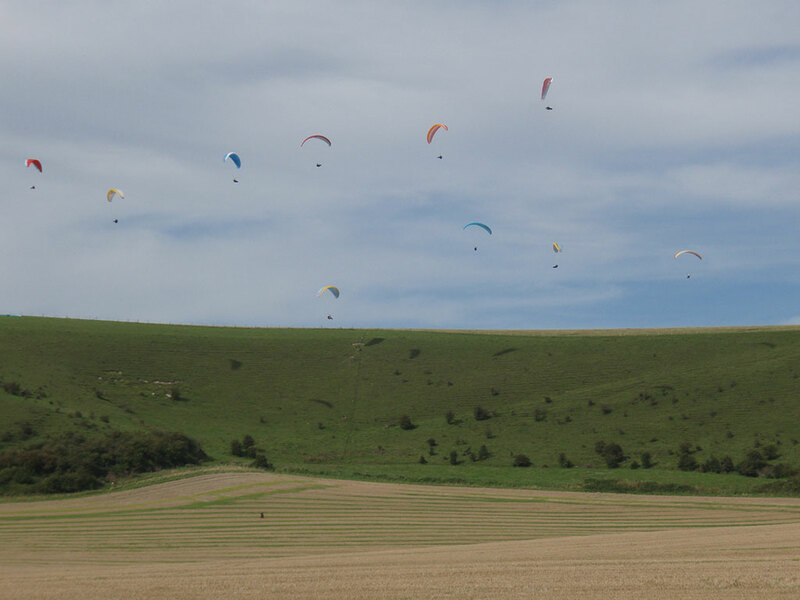 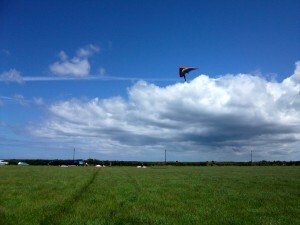 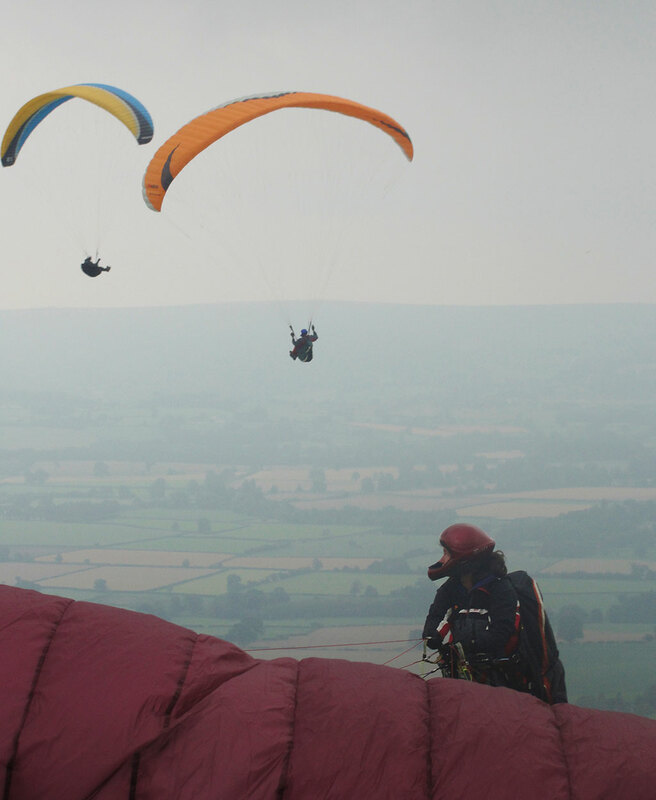 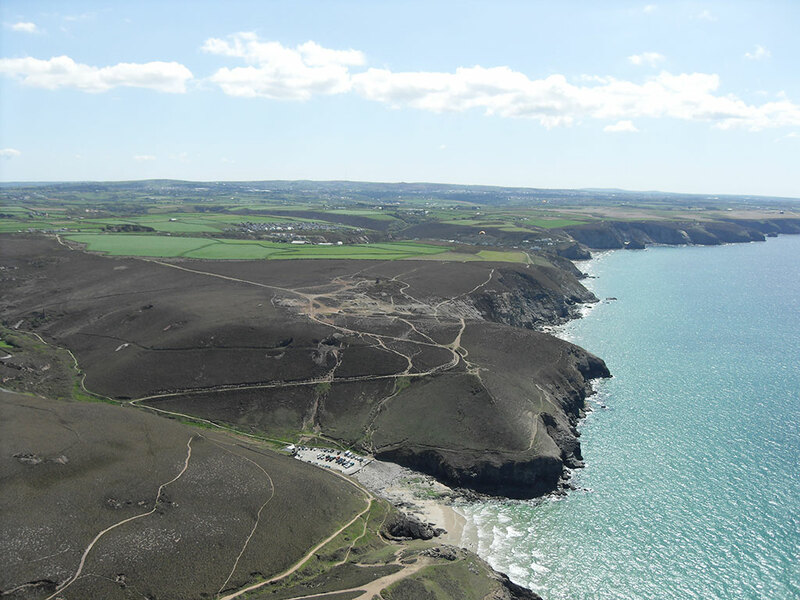 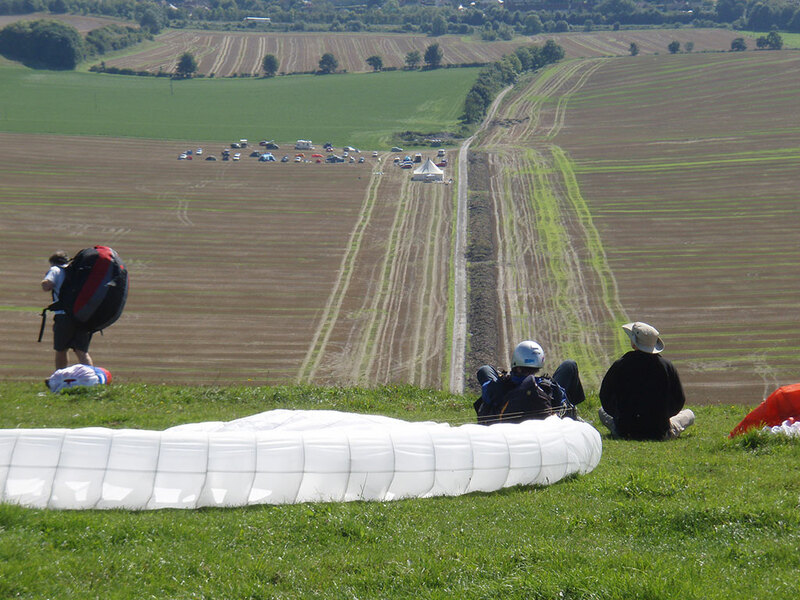 …you could fall out of your tent, walk to take off, fly for hours & land by the beer tent! 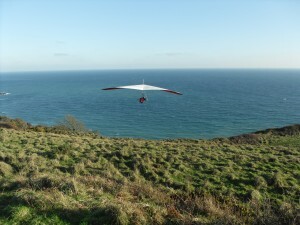 Tim Jones at High Cliff. 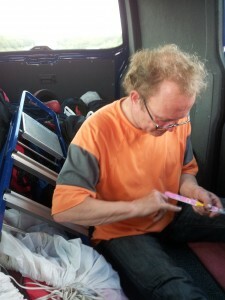 Submitted by Tim. 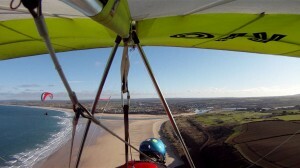 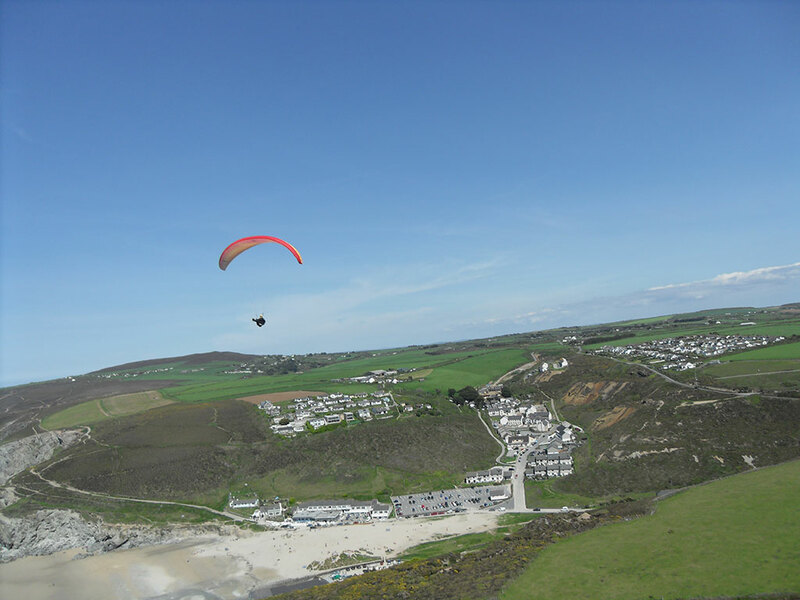 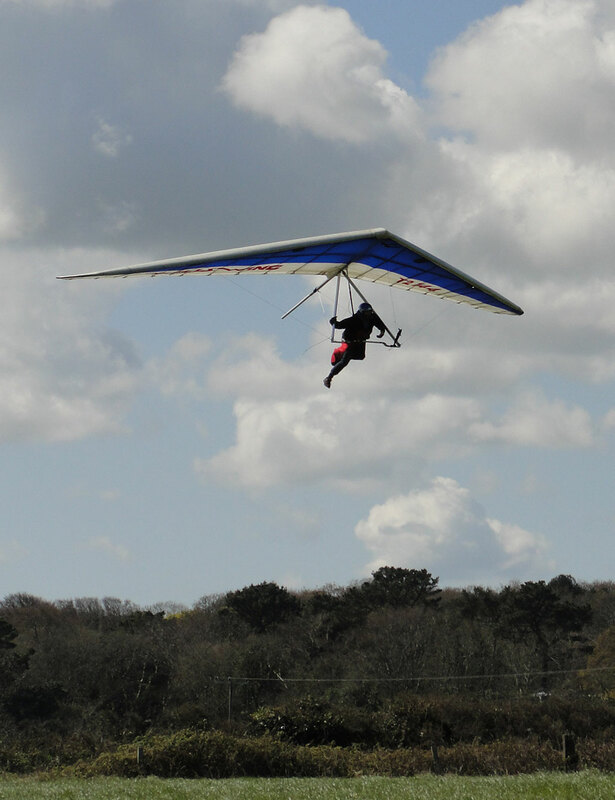 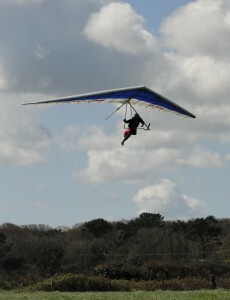 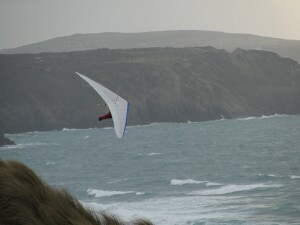 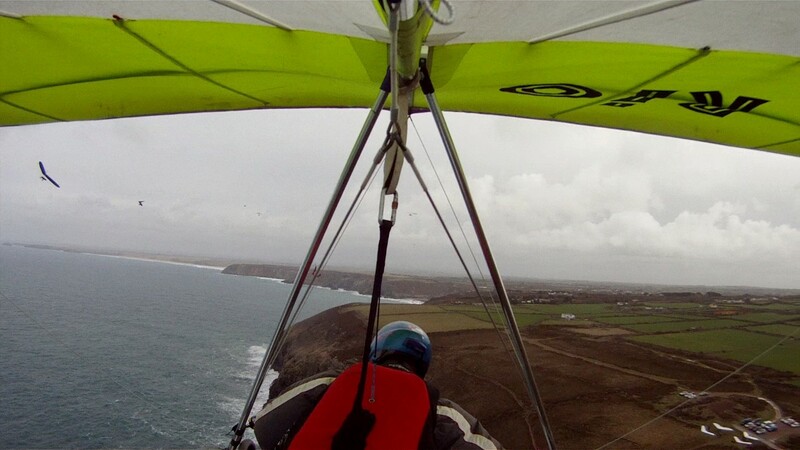 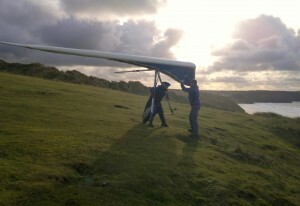 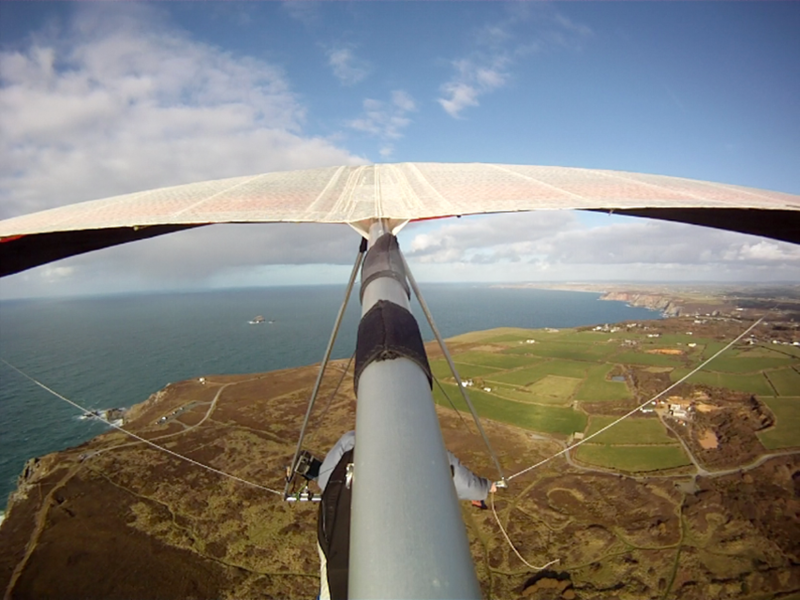 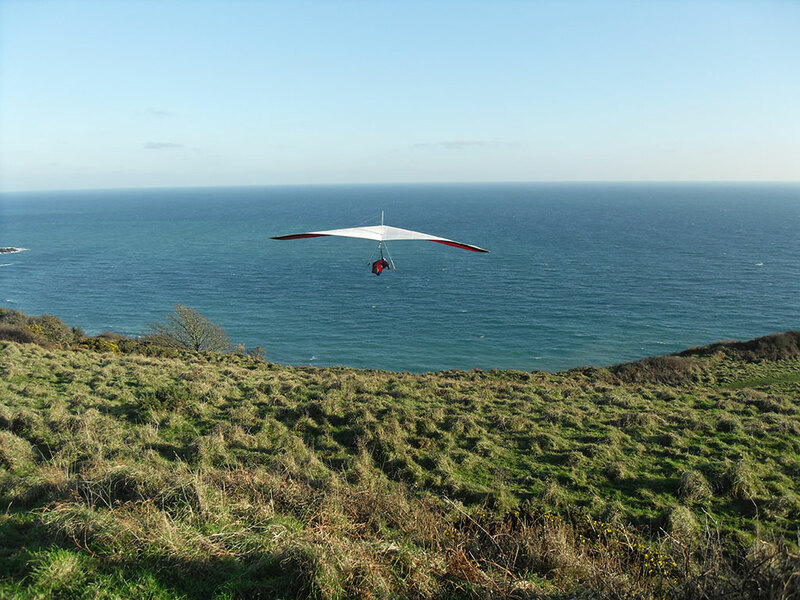 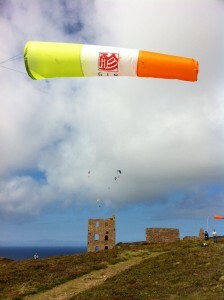 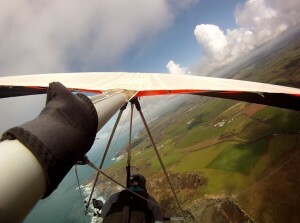 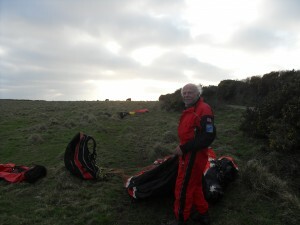 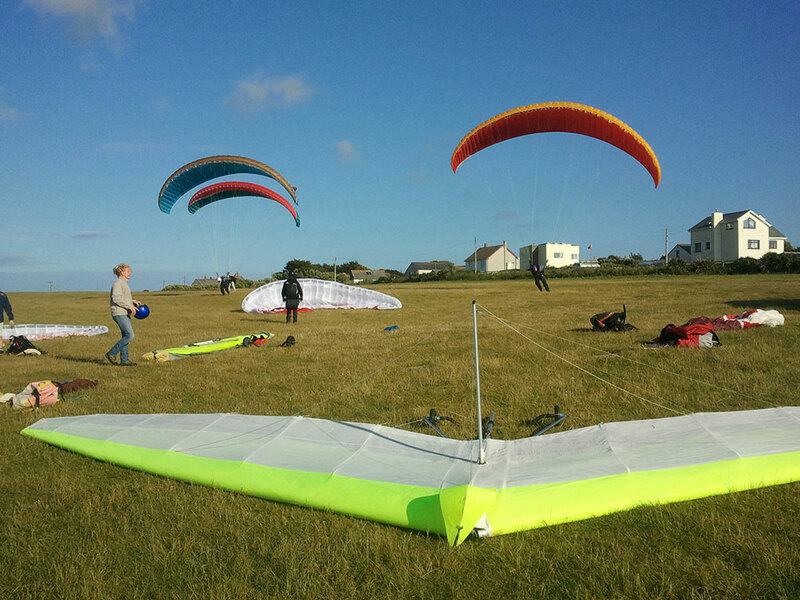 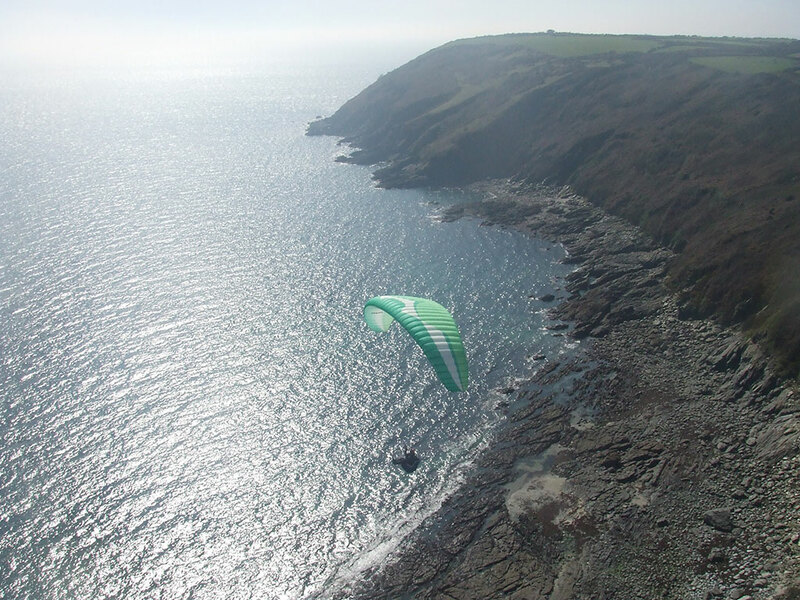 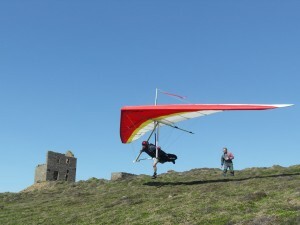 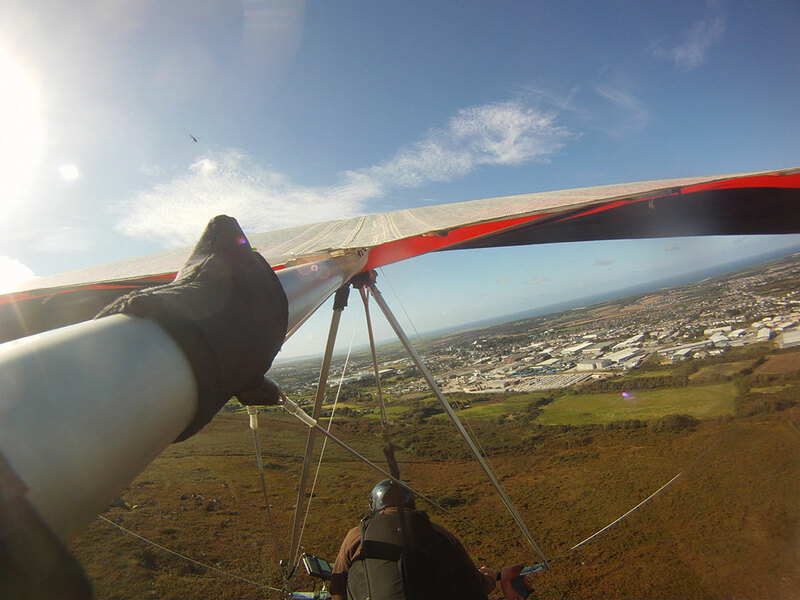 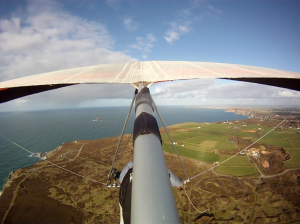 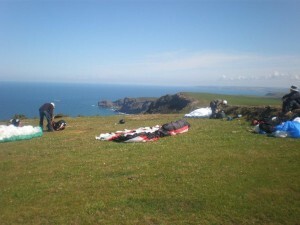 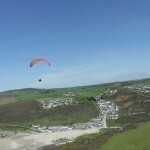 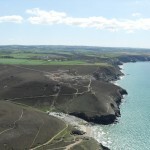 Andy Rogers landing at Chapelporth. 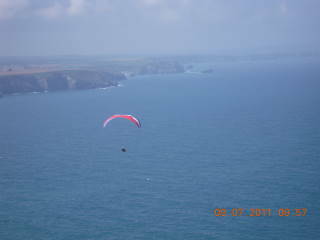 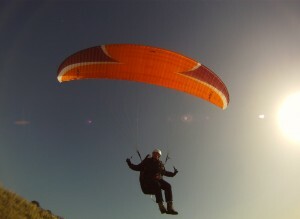 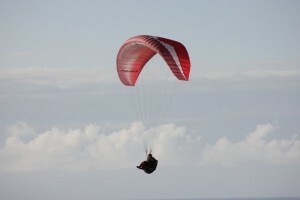 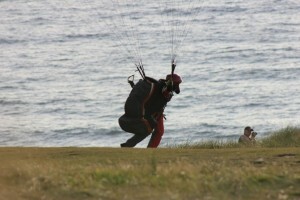 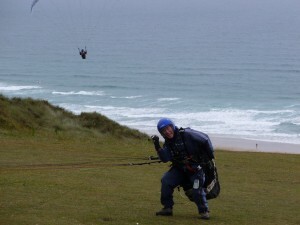 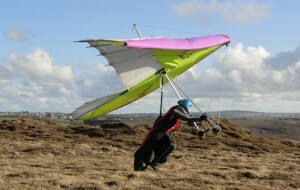 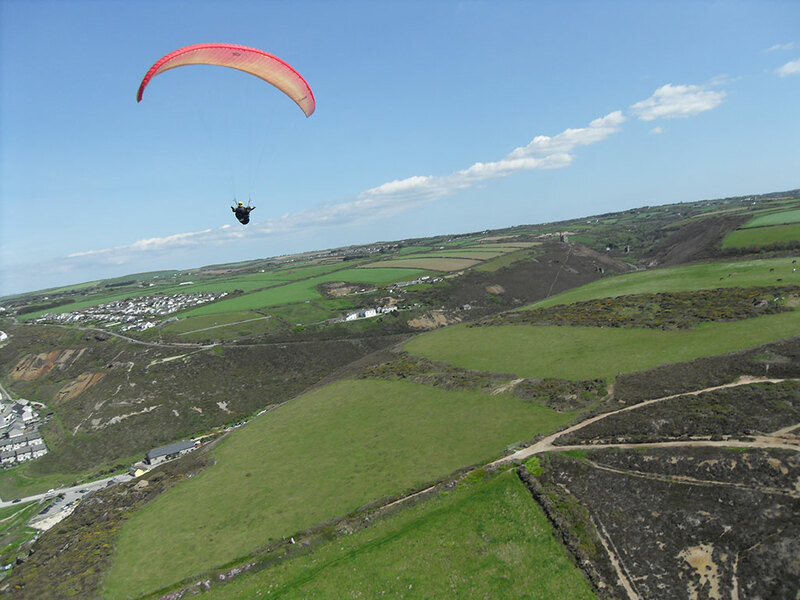 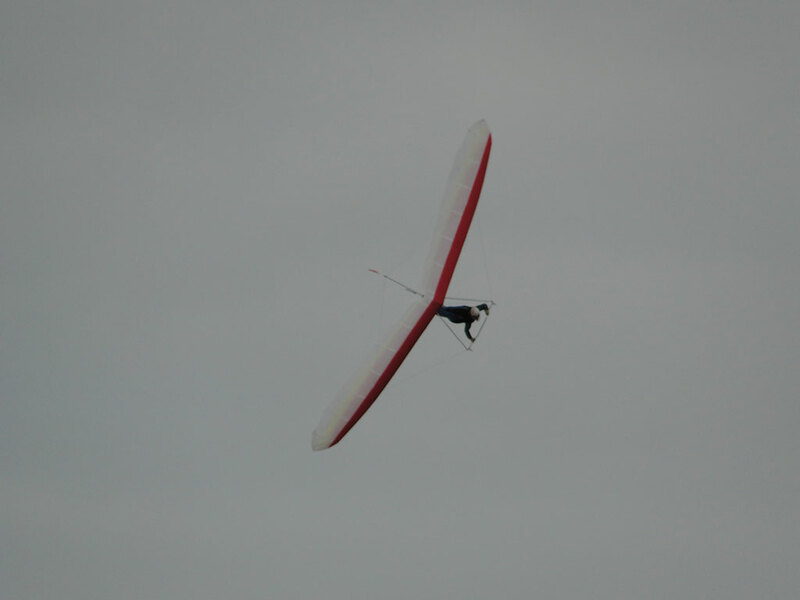 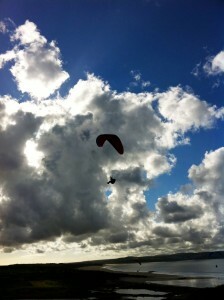 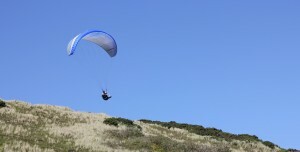 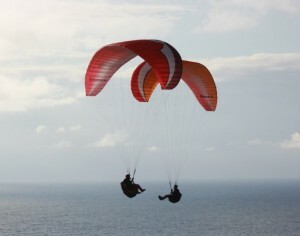 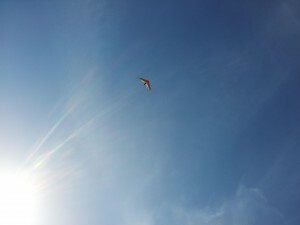 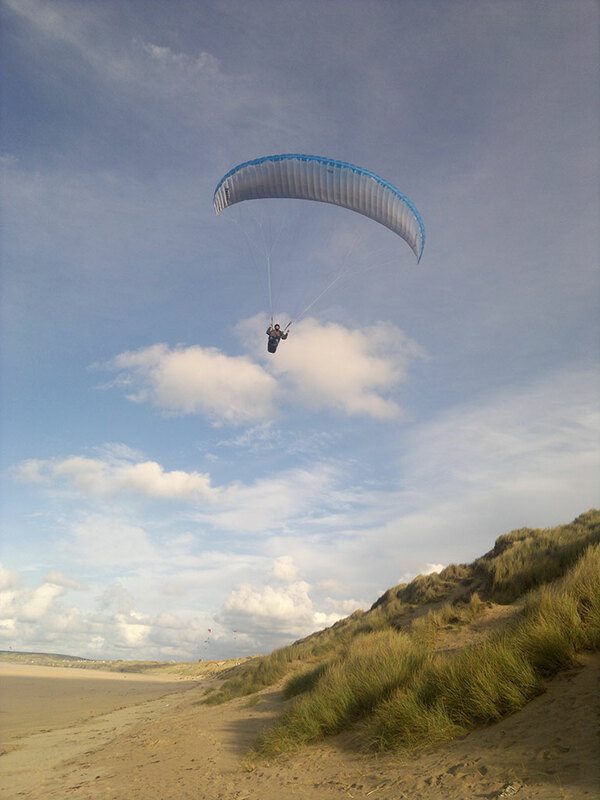 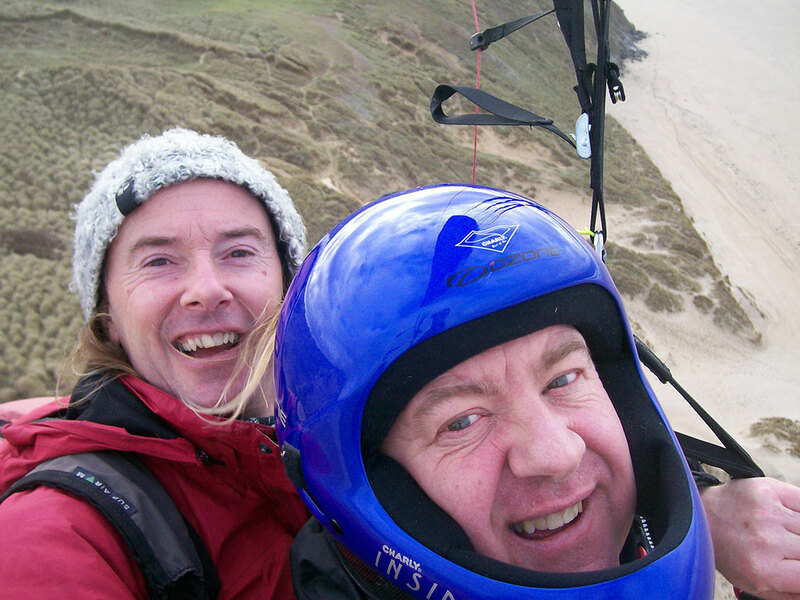 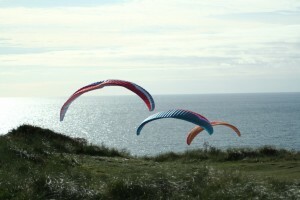 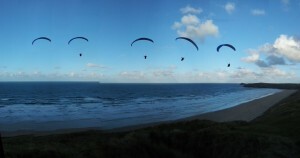 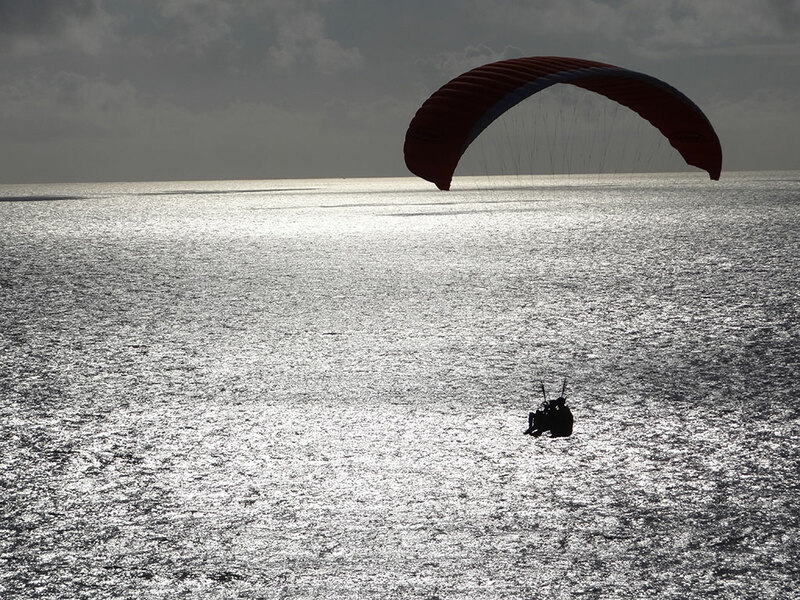 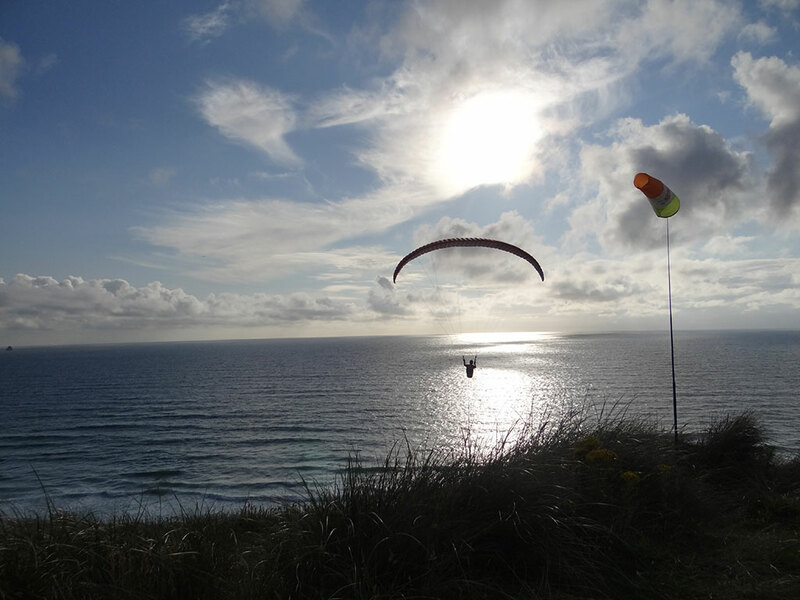 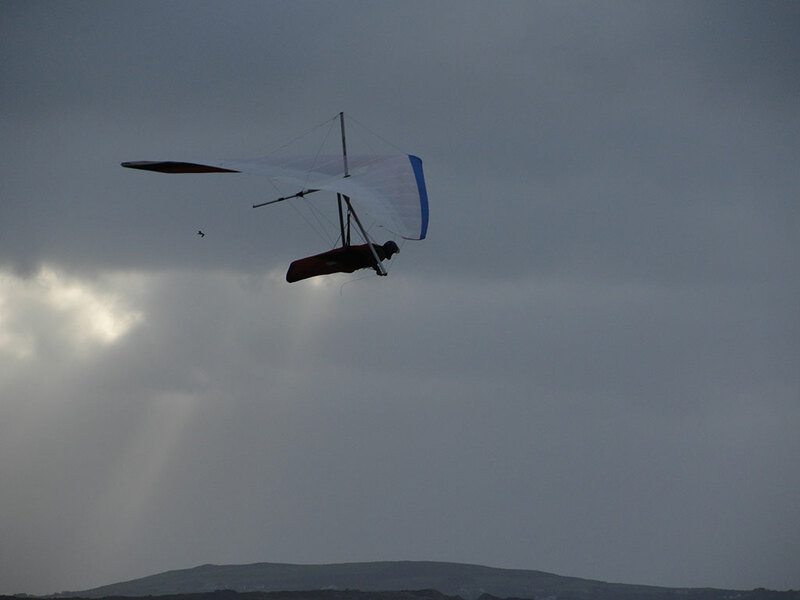 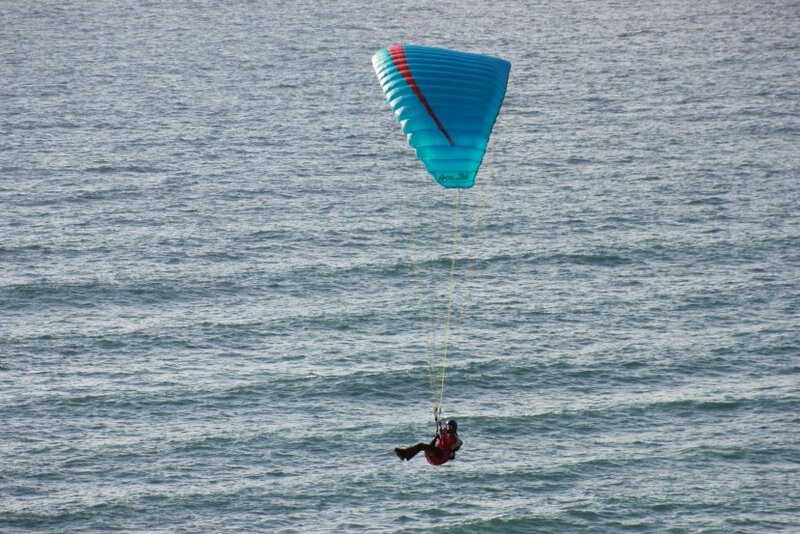 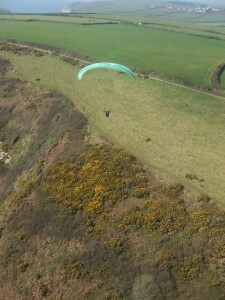 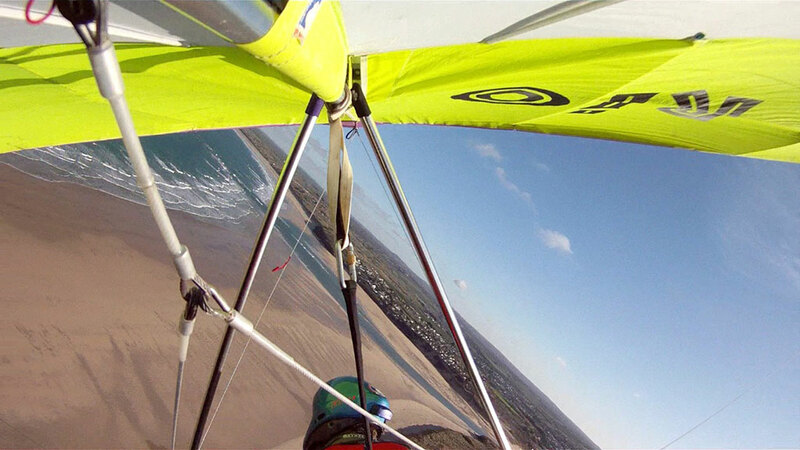 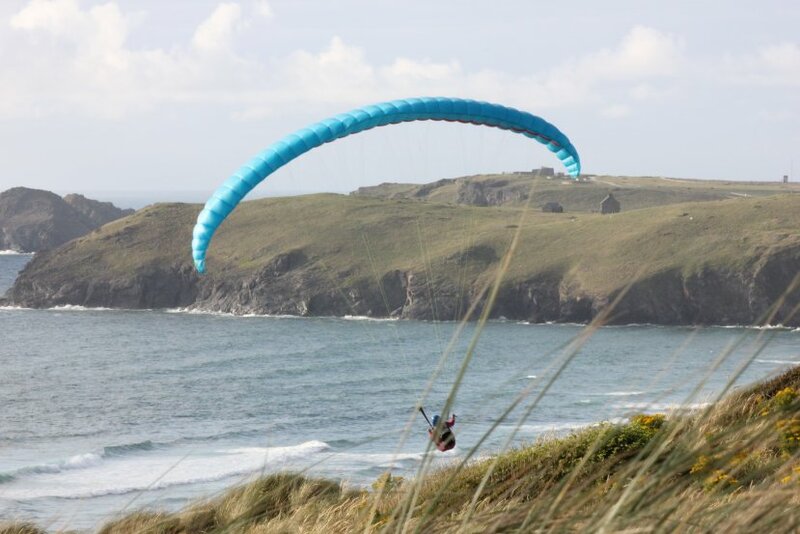 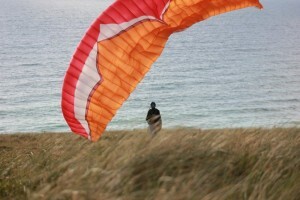 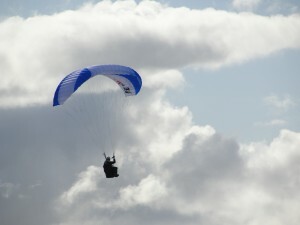 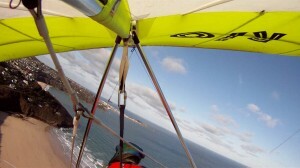 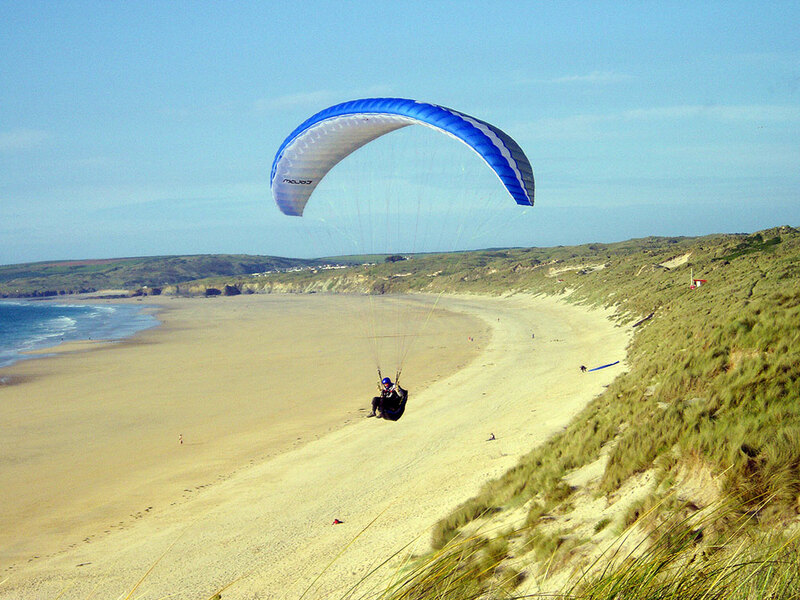 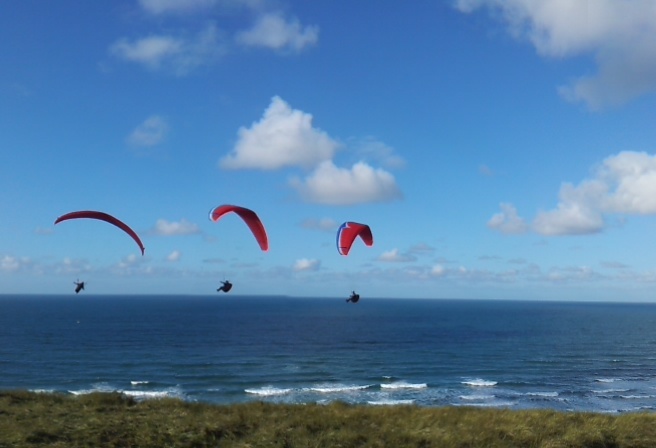 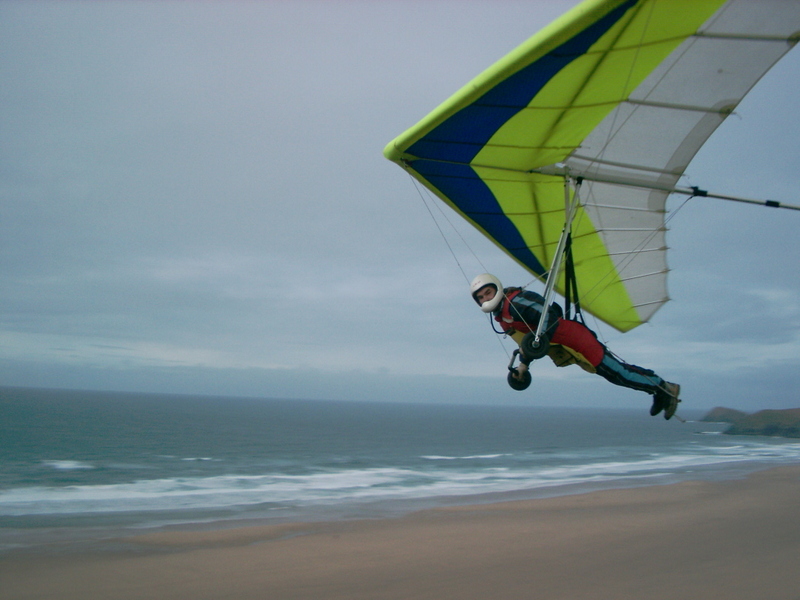 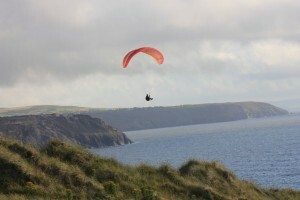 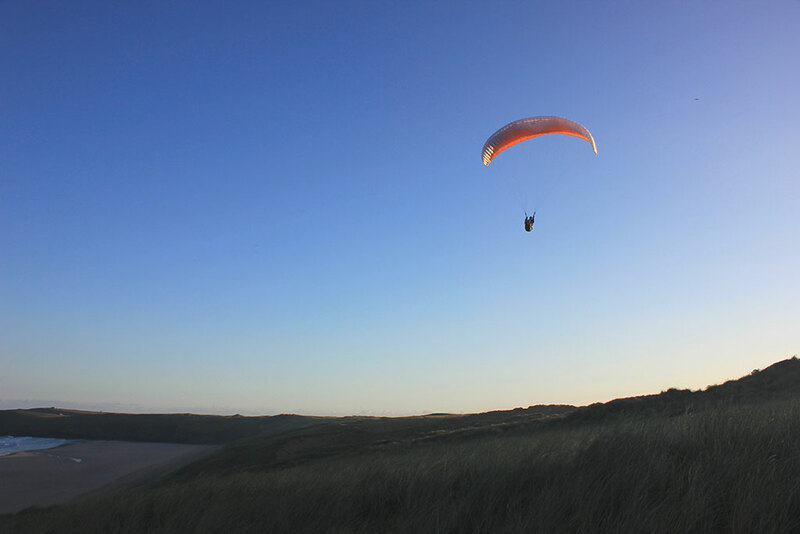 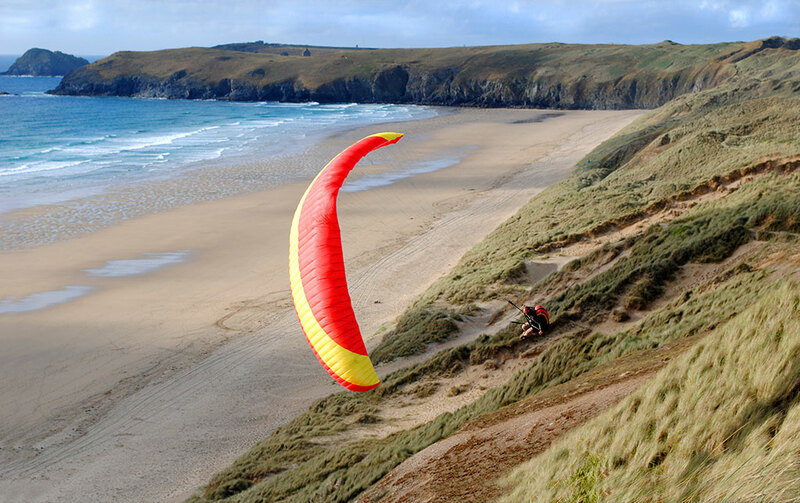 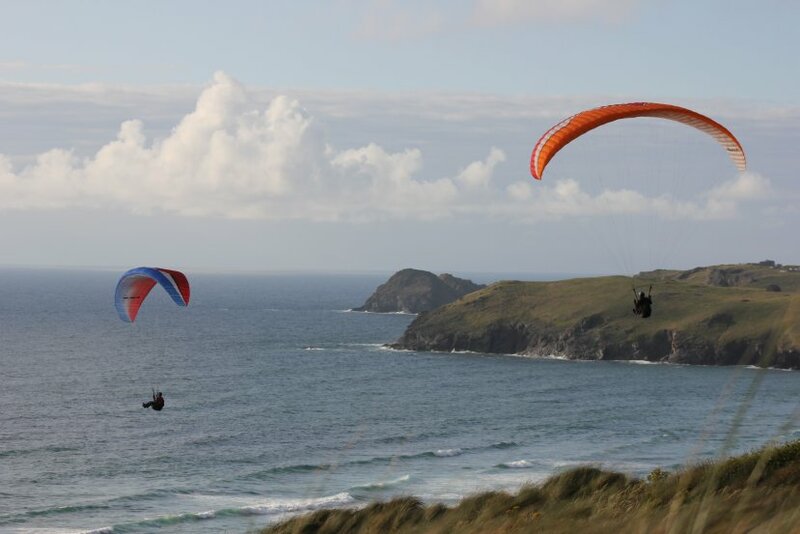 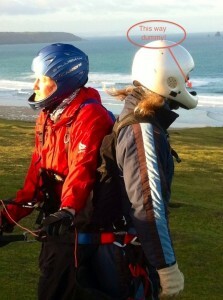 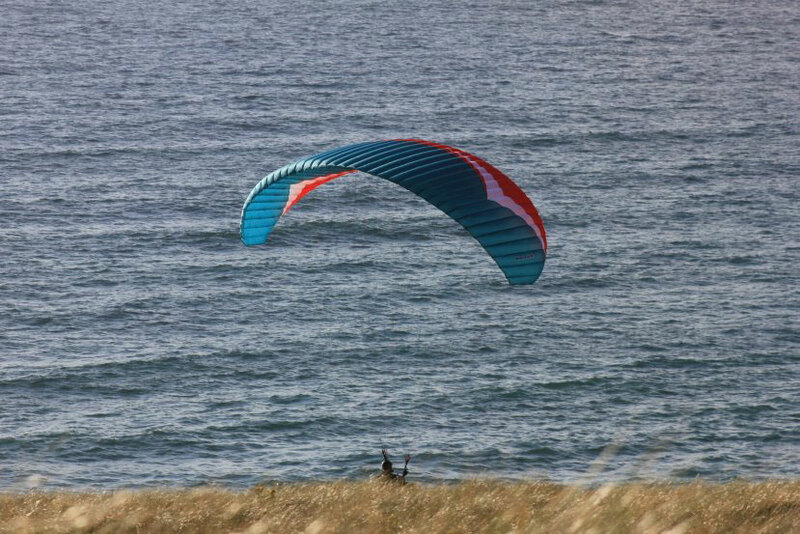 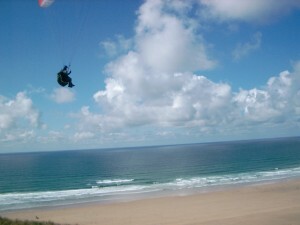 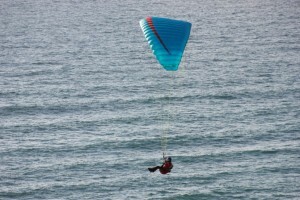 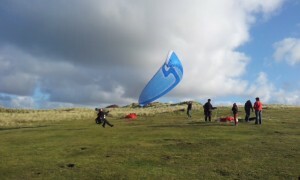 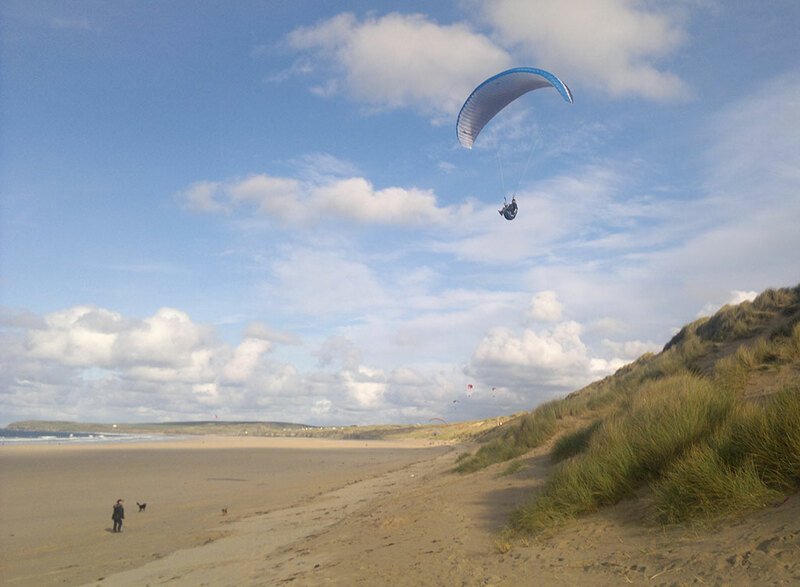 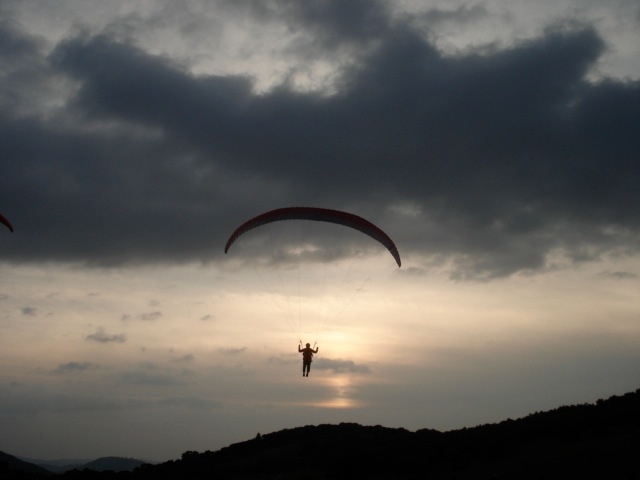 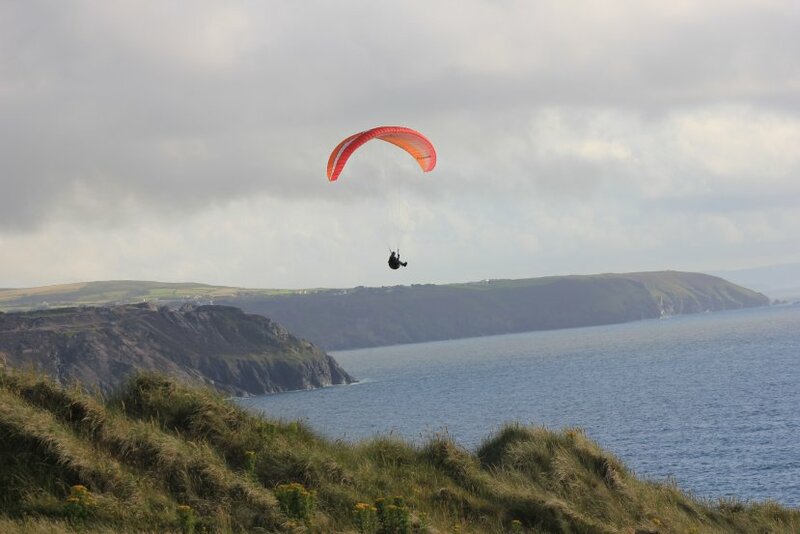 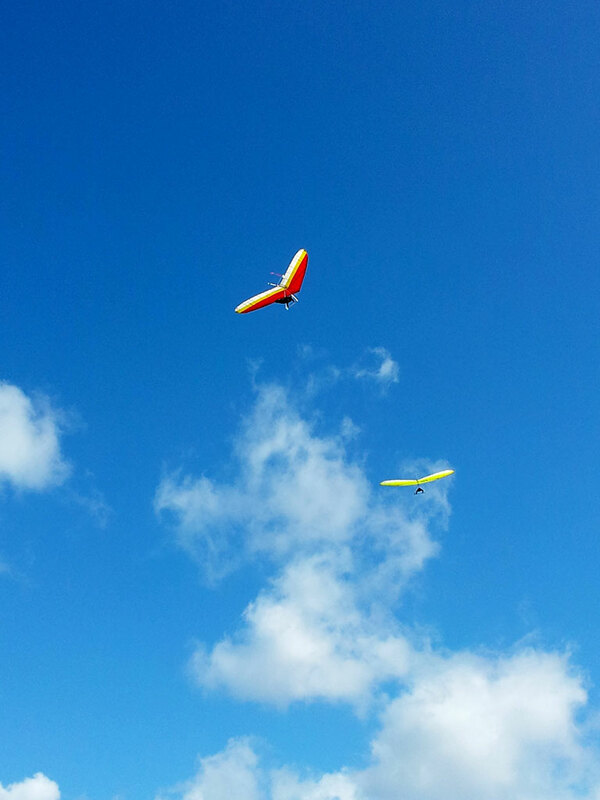 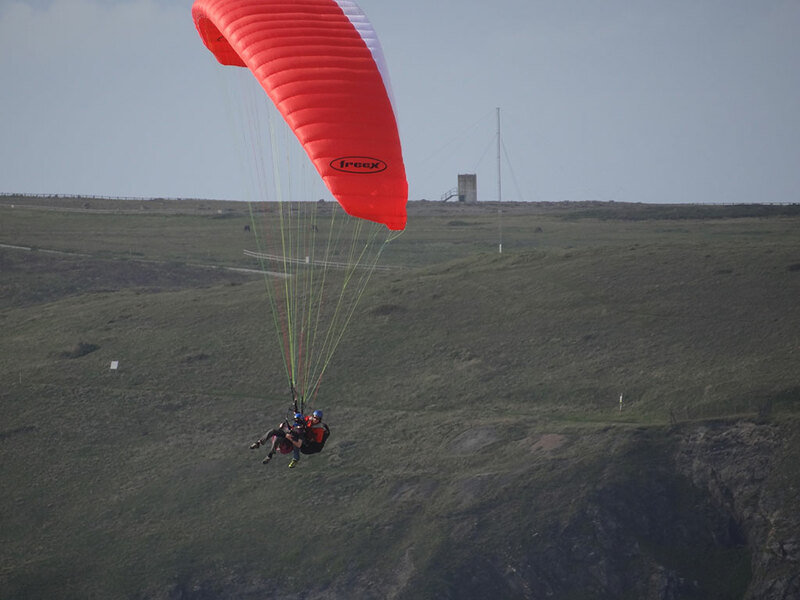 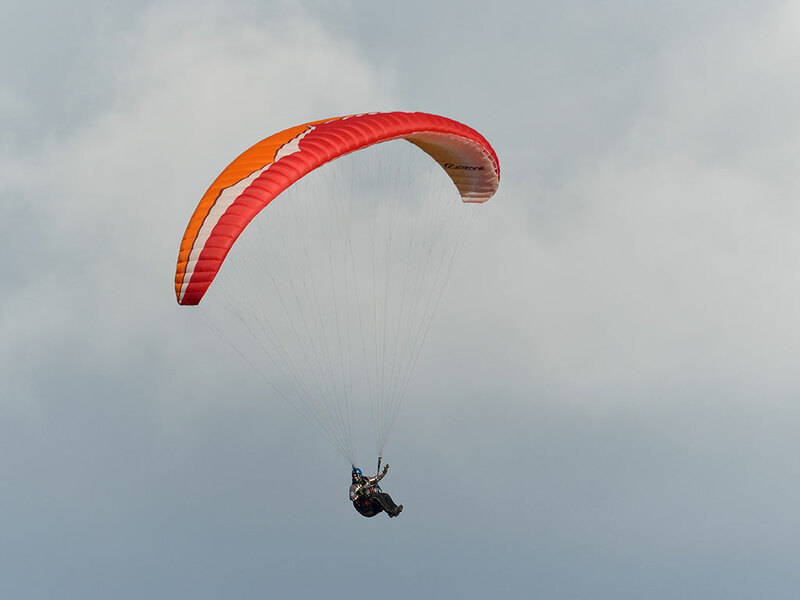 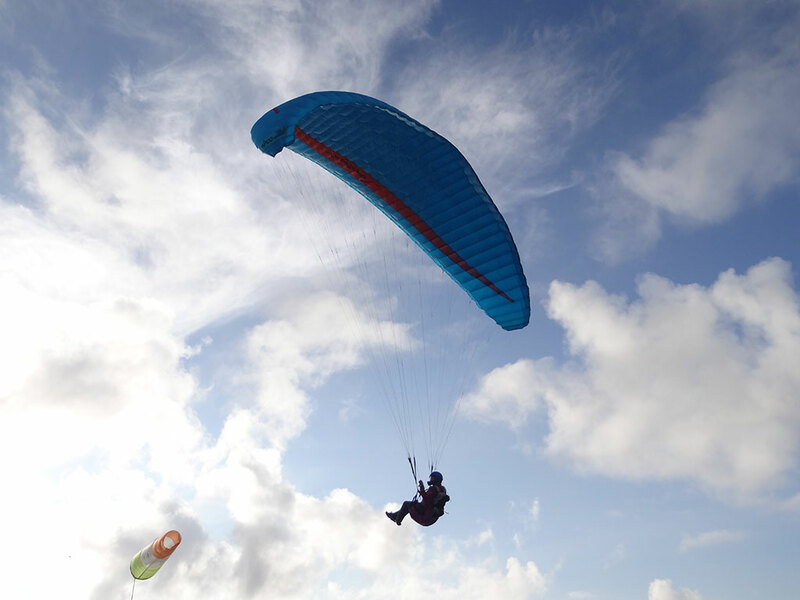 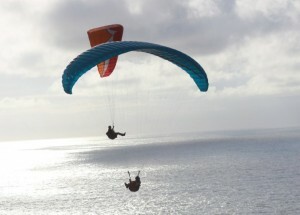 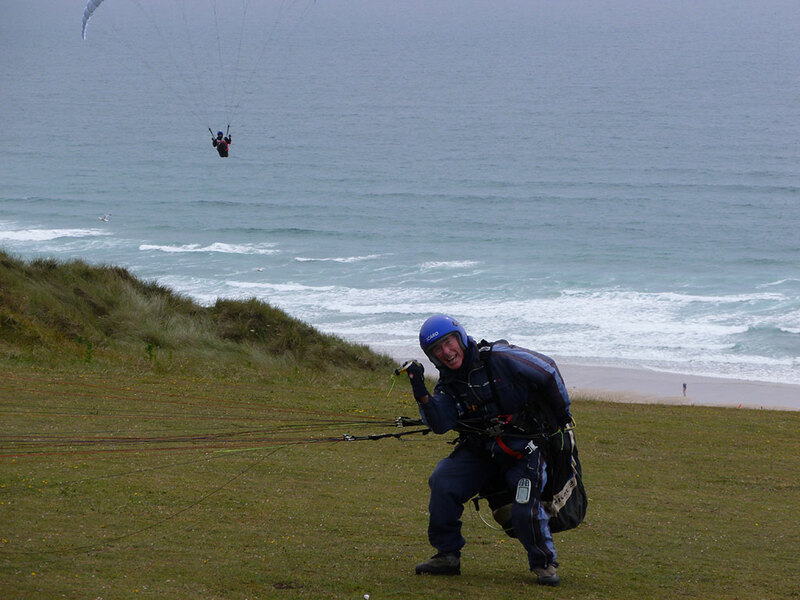 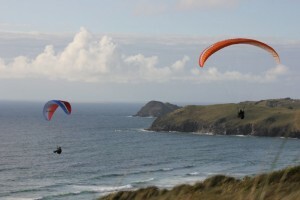 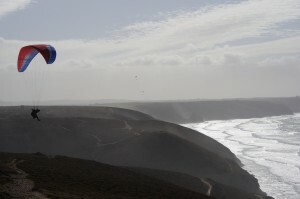 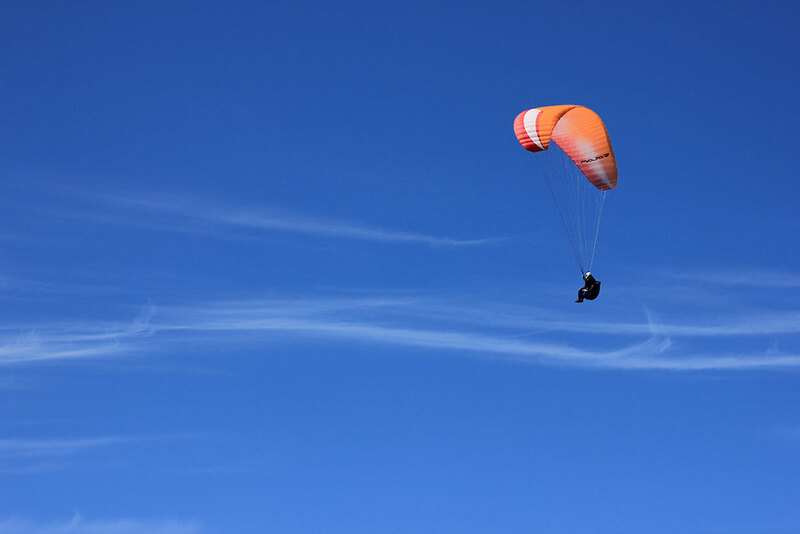 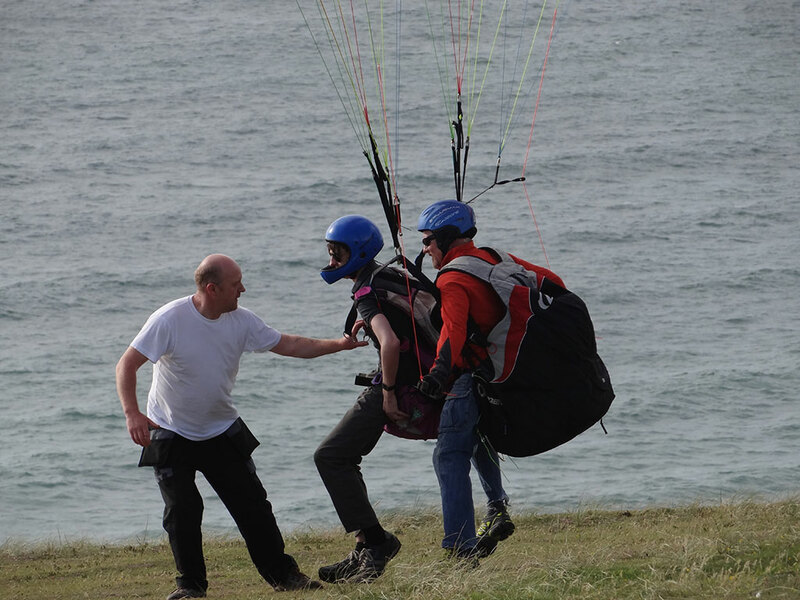 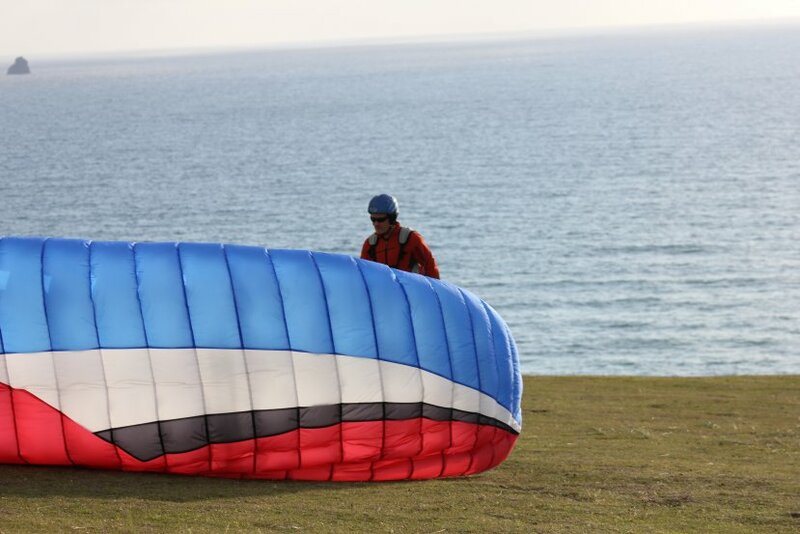 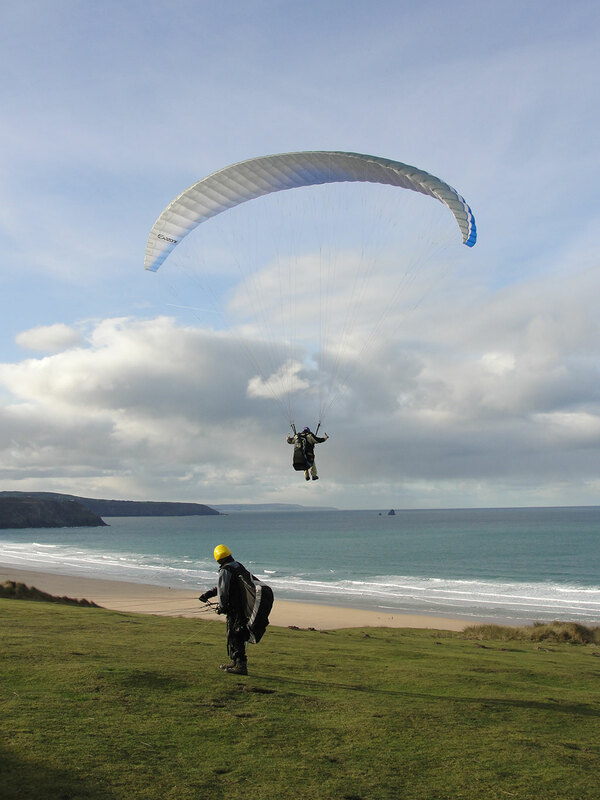 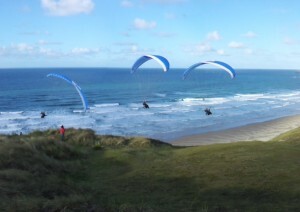 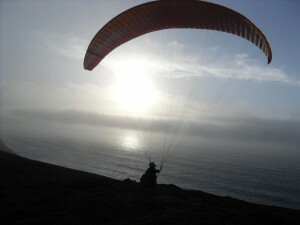 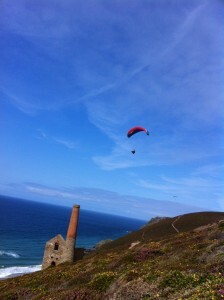 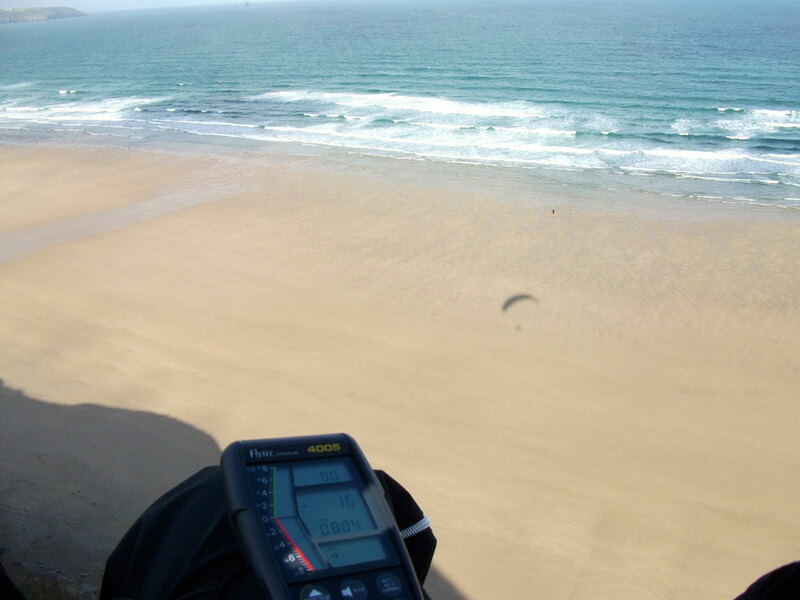 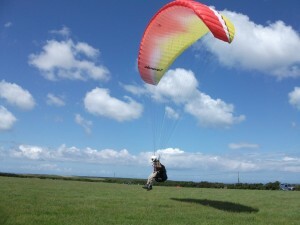 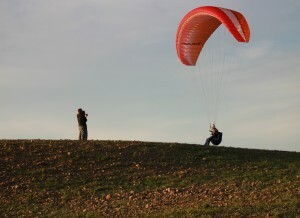 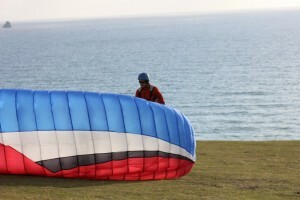 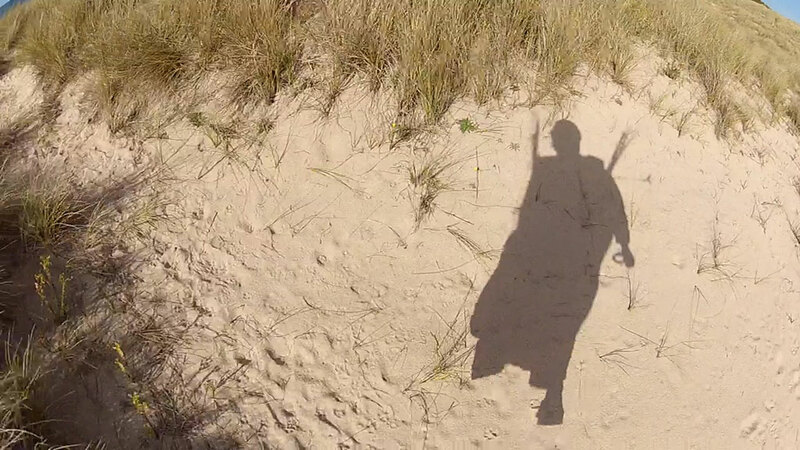 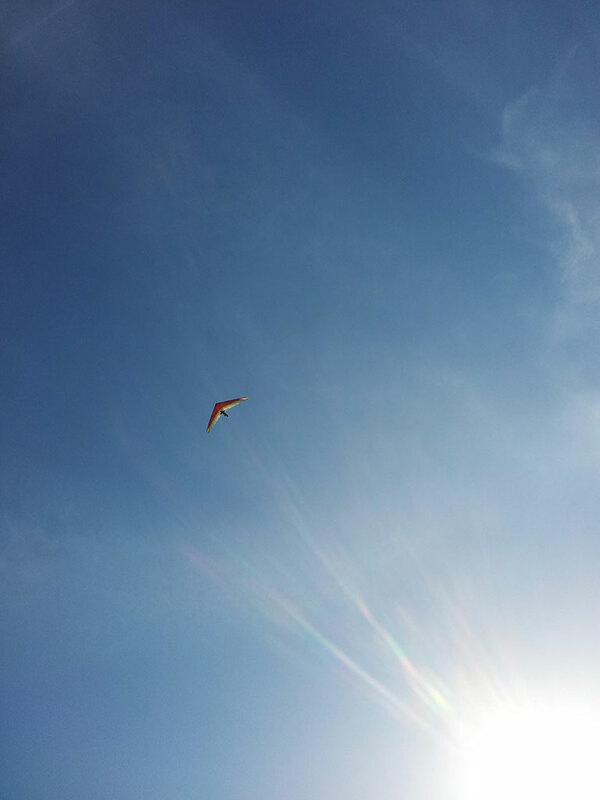 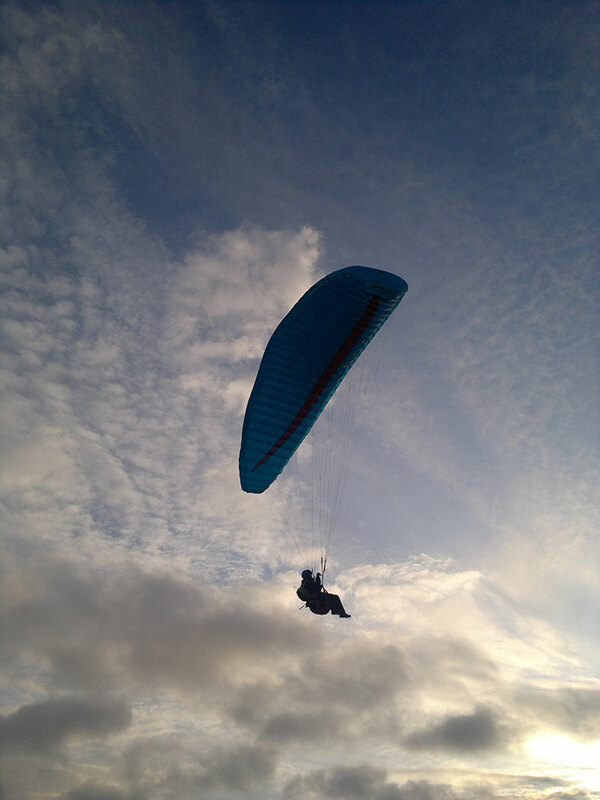 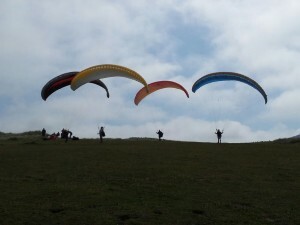 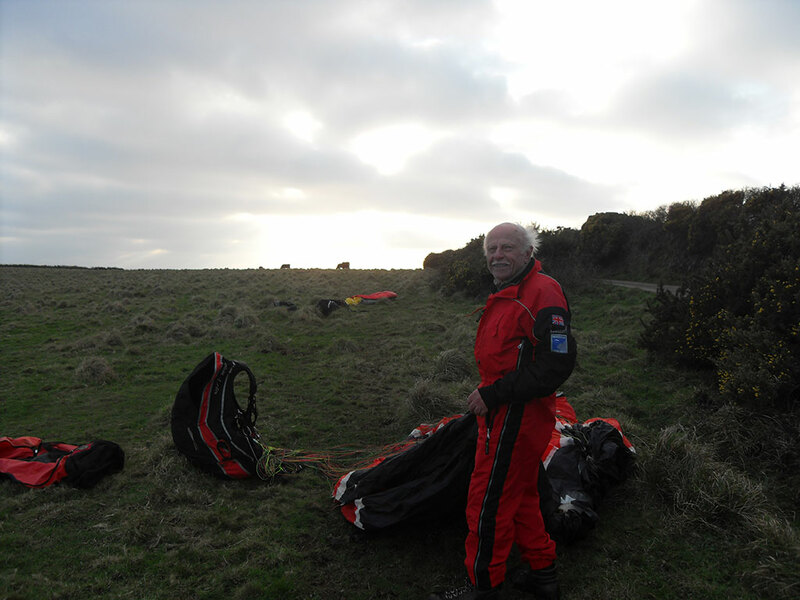 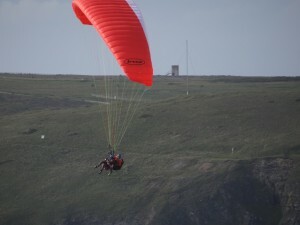 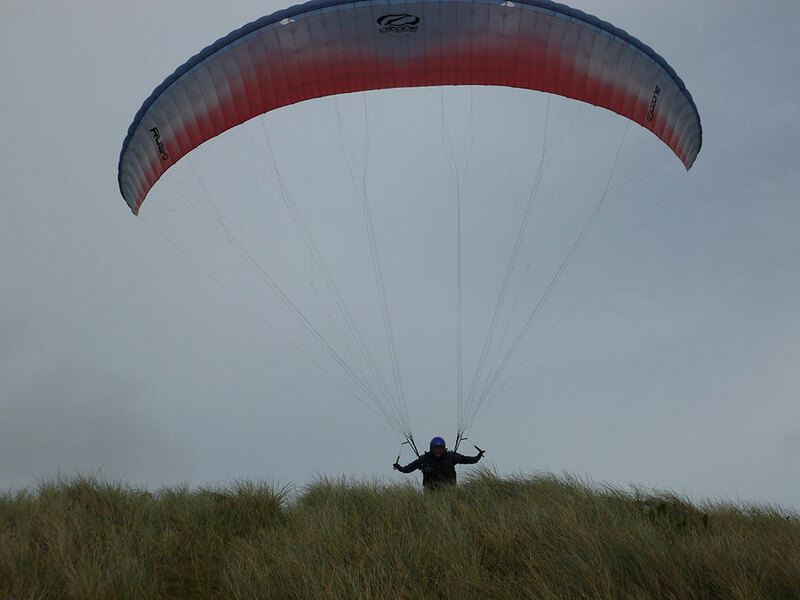 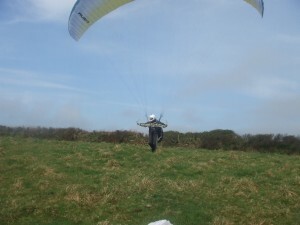 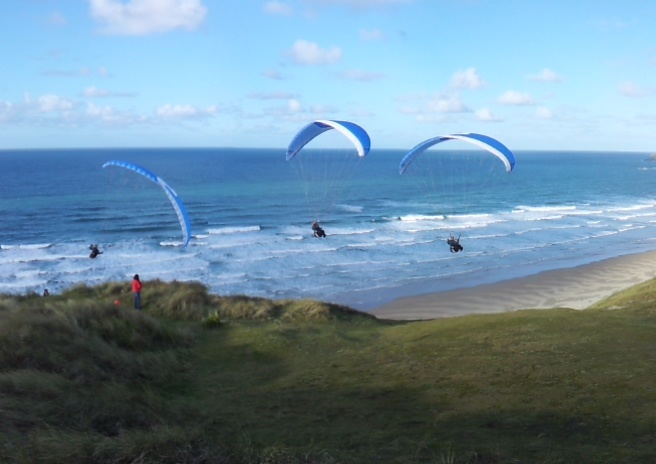 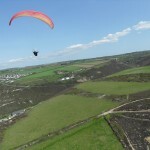 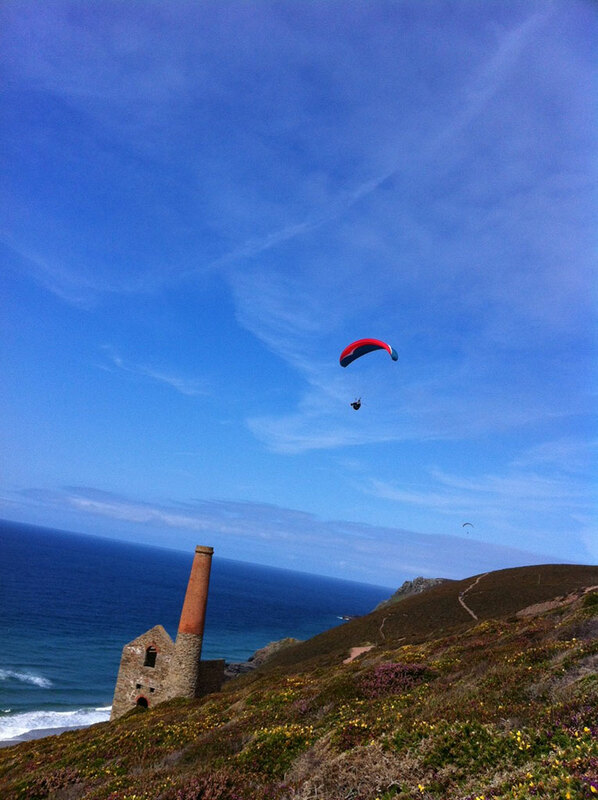 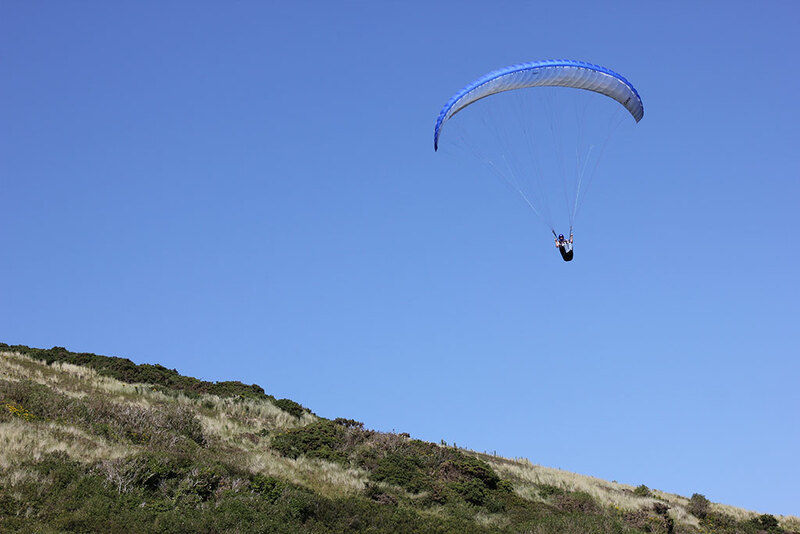 A paraglider enjoying the dunes at Perranporth. 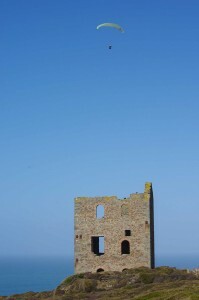 Photo taken by Mark Fowler.